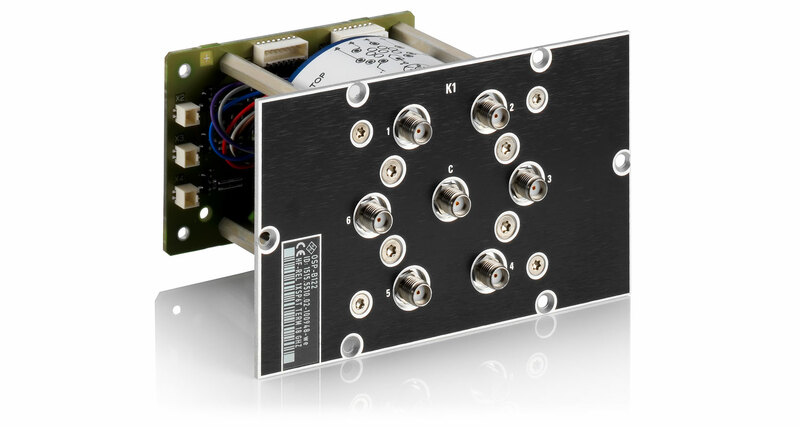 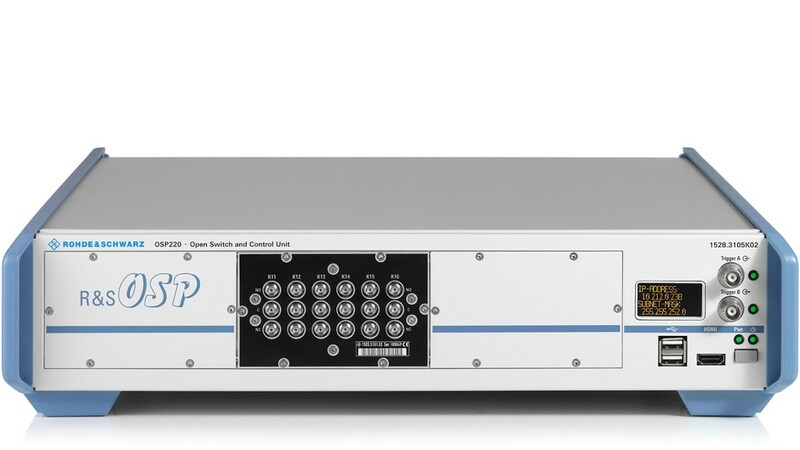 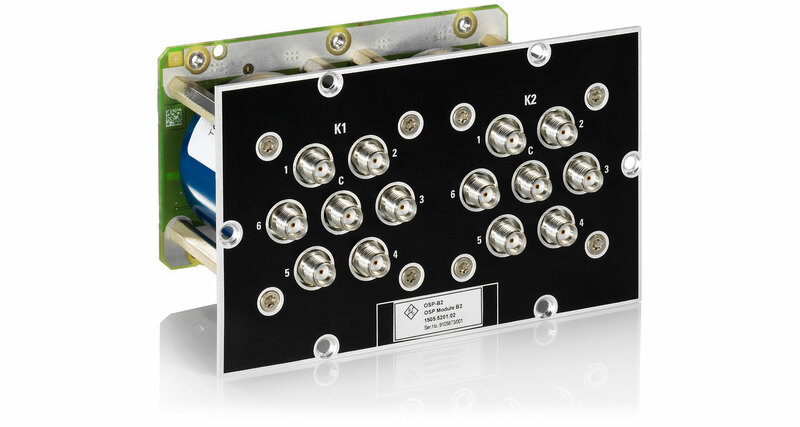 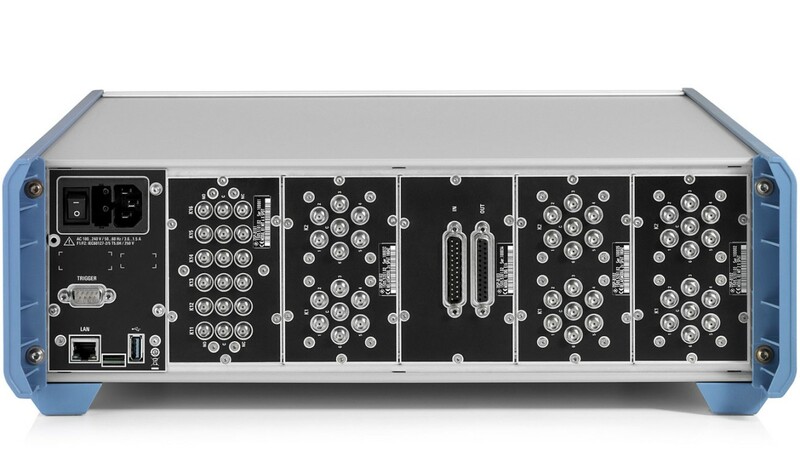 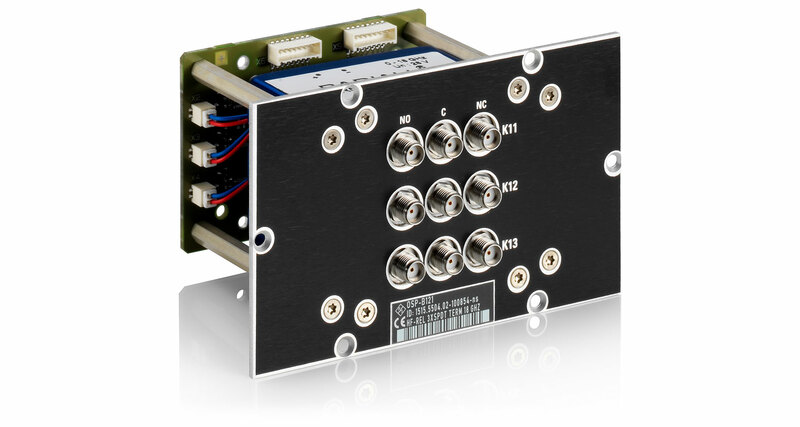 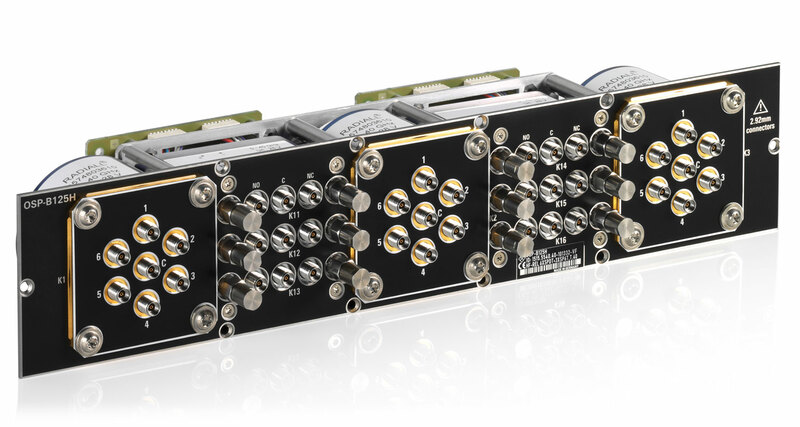 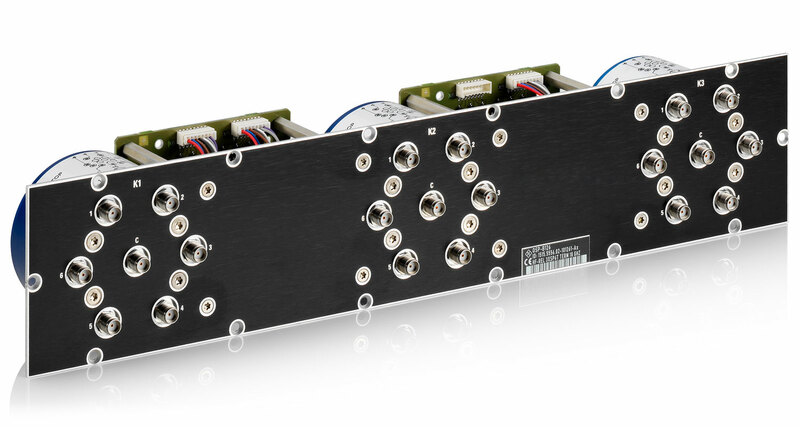 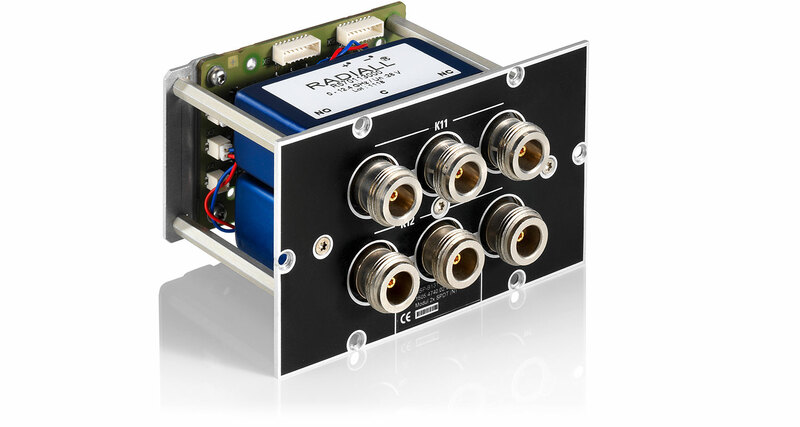 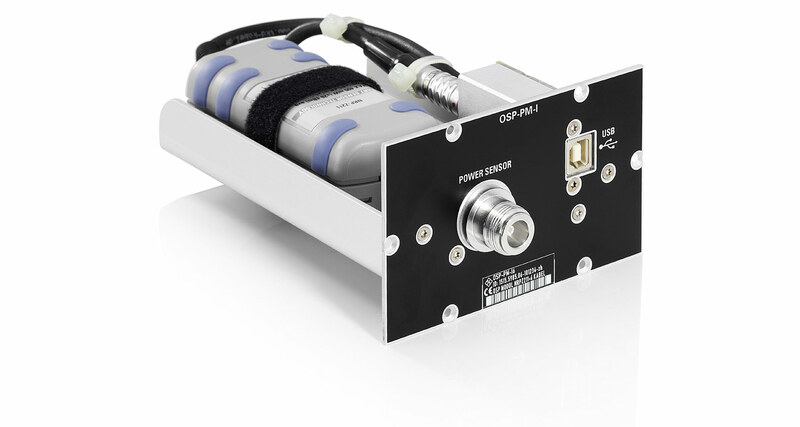 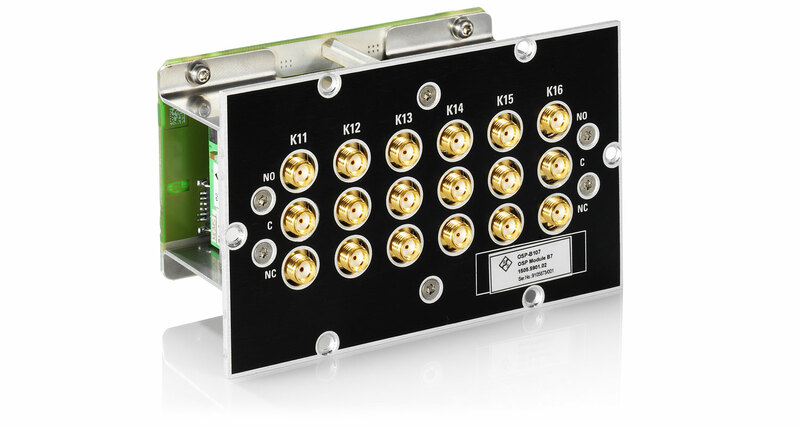 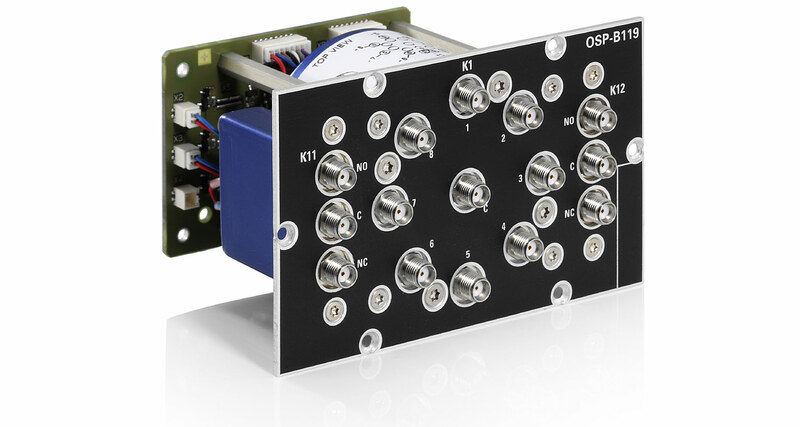 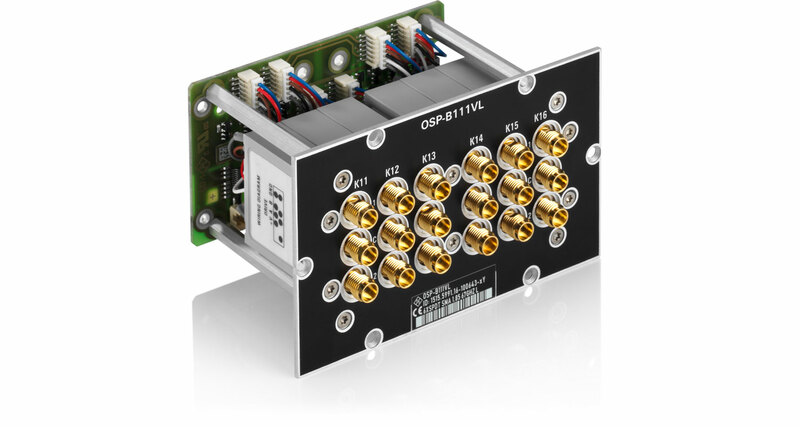 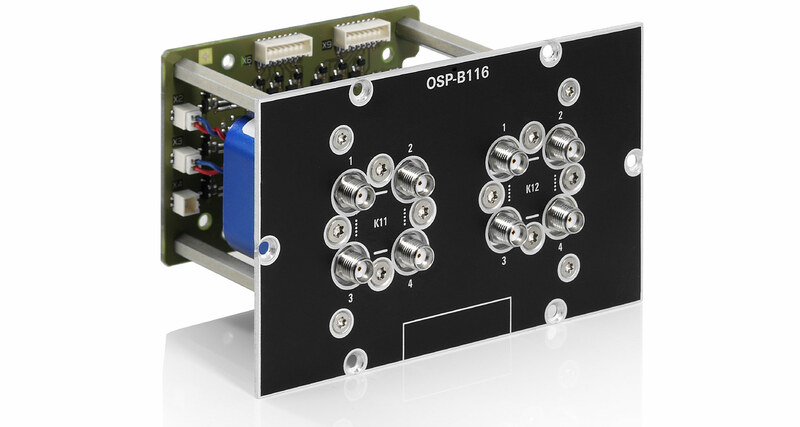 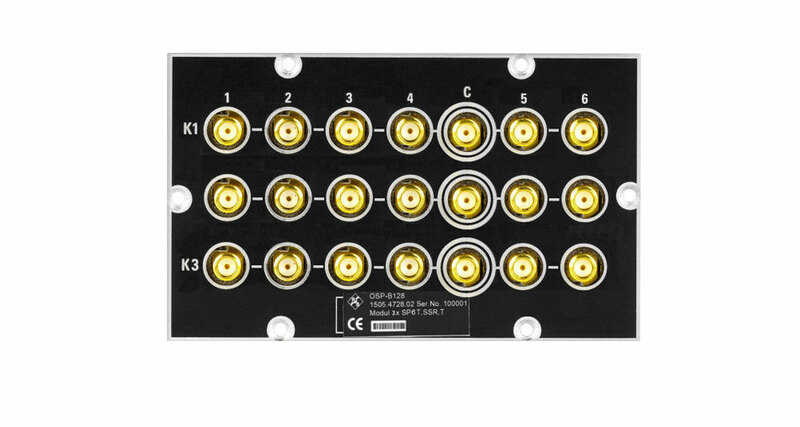 The modular R&S®OSP open switch and control platform is designed to perform RF switch and control tasks. 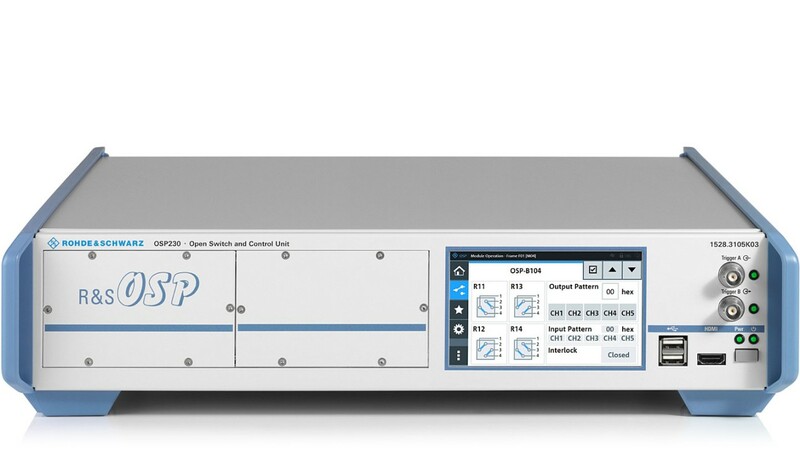 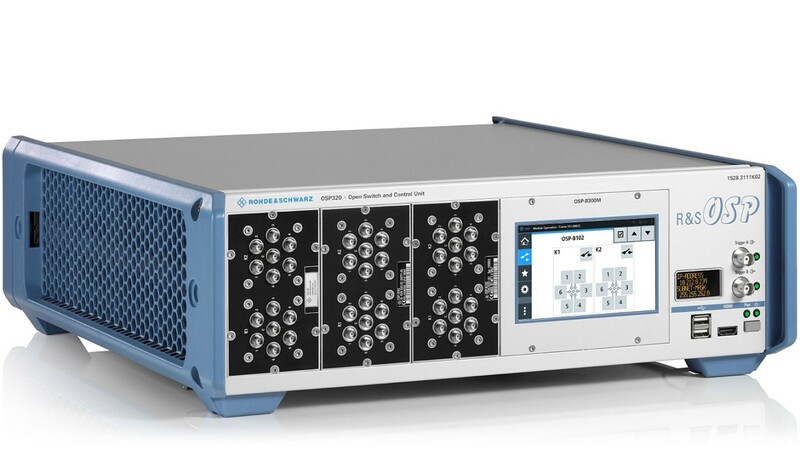 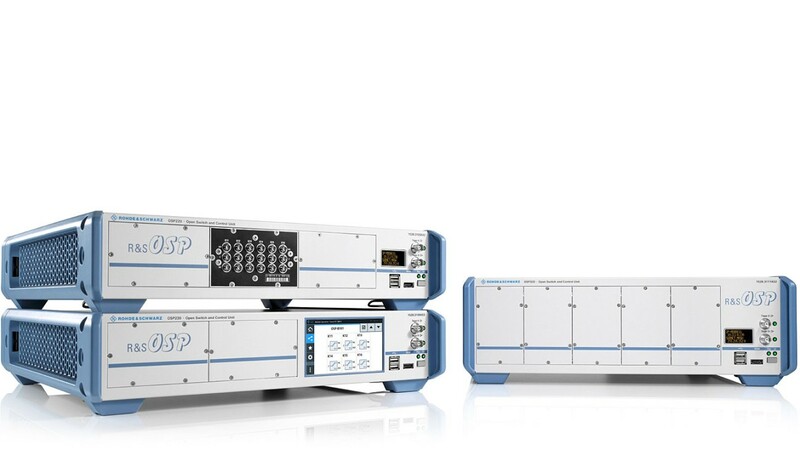 The R&S®OSP is offered in two compact 2 HU models (R&S®OSP220, R&S®OSP230) and one higher 3 HU model (R&S®OSP320) to meet the requirements of diverse test scenarios – ranging from desktop configurations for laboratory measurements to complex, rack-integrated test systems. 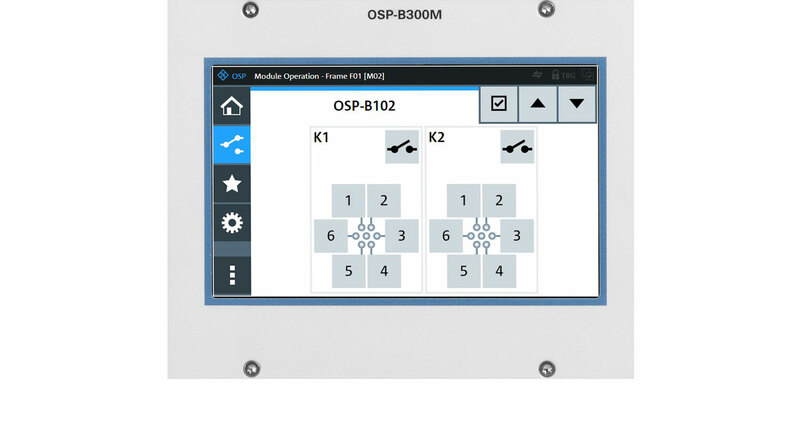 The R&S®OSP230 model comes with touchscreen for manual control. 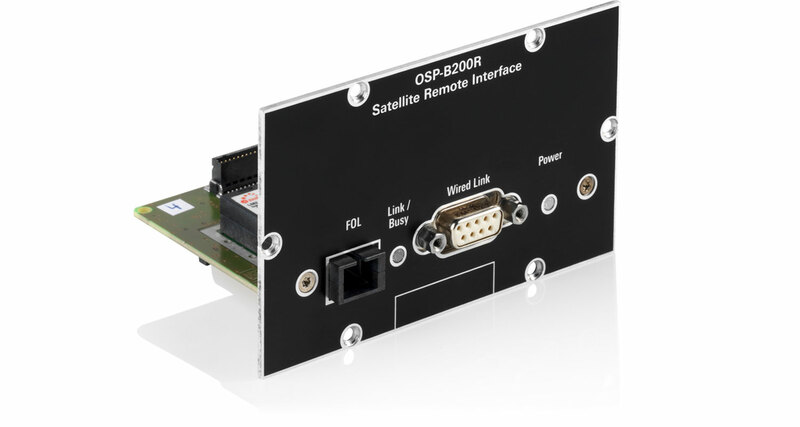 A monitor option is avalable for the R&S®OSP320 model. 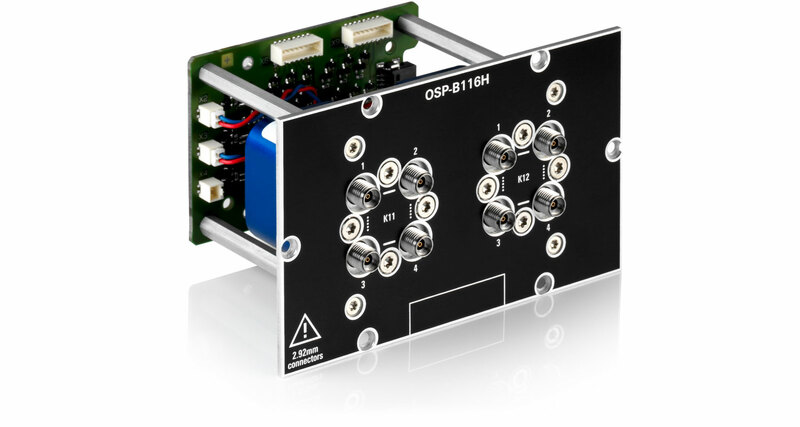 The modularity provided by the R&S®OSP family facilitates the fast setup of test and measurement configurations for applications in production, test labs and development. 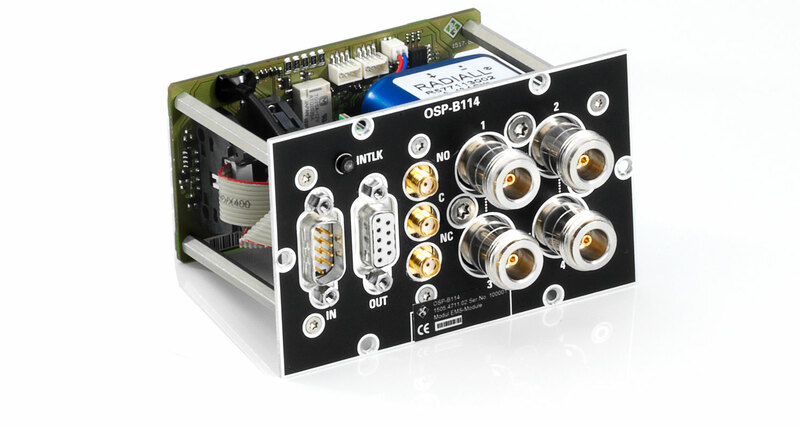 The ability to implement complex wiring by means of a single switch and control platform is an essential prerequisite for reliable and reproducible measurements that can be automated to enable cost-efficient test sequences. 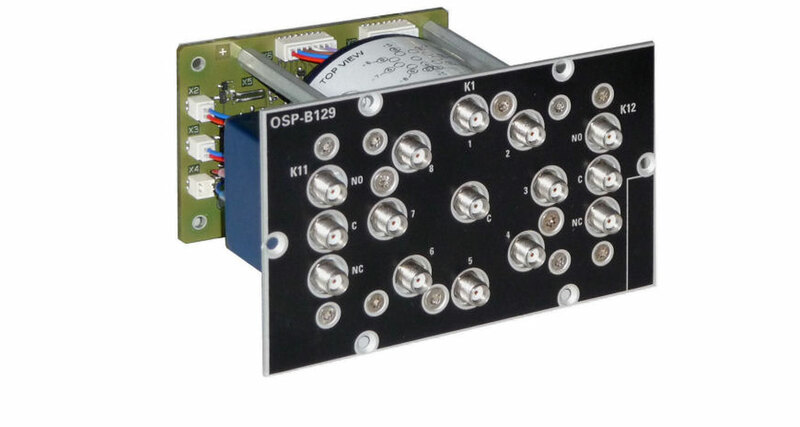 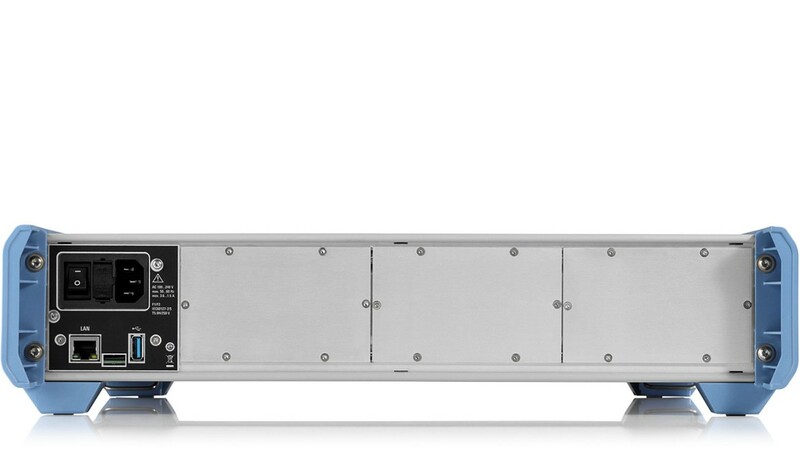 The R&S®OSP units are accommodated in a compact 19" cabinet of two or three height units. 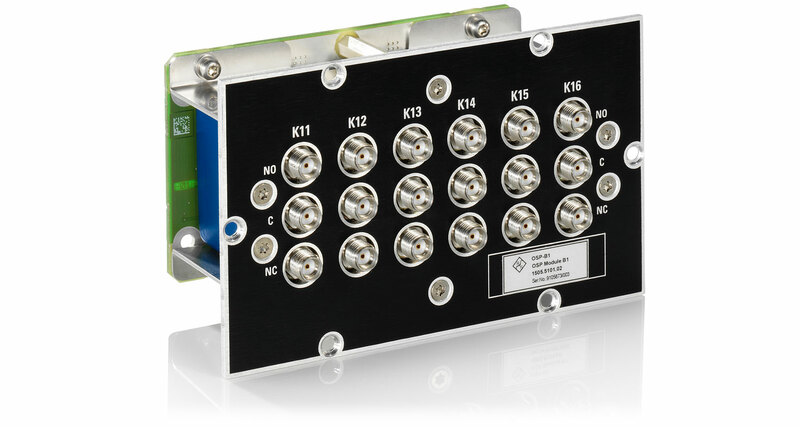 The powerful CPU and the LINUX operating system provides maximum flexibility for controlling switch and control modules and enables the use of internal and external interfaces. 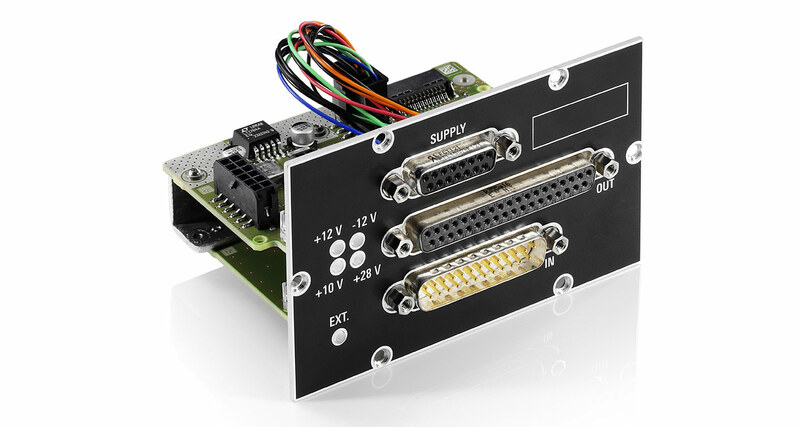 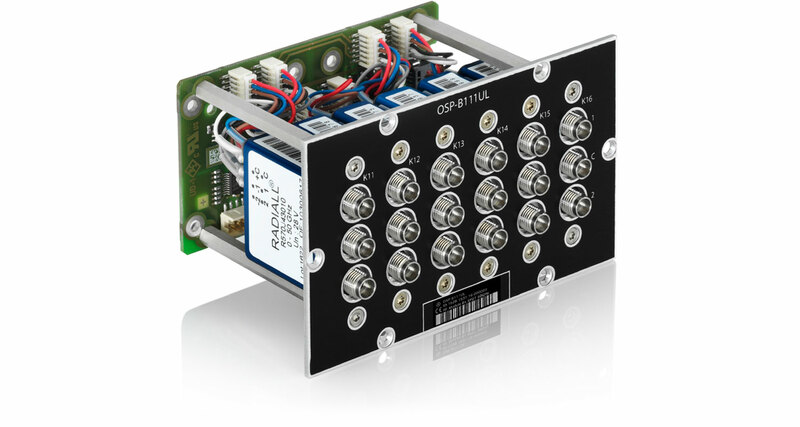 The module slots on the rear and frontside of each unit can be integrated into one, extra-wide triple or double module slot to accept larger modules with an extended range of functions. 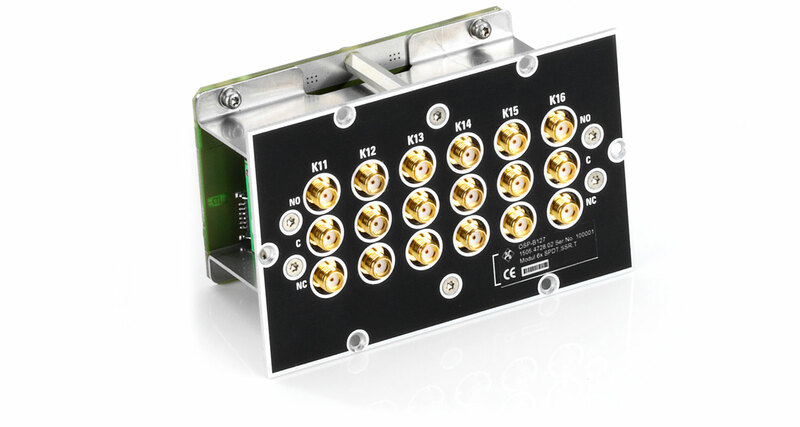 solid-state relay (SSR) modules (up to 10 GHz), digital I/O and multiplexer modules. 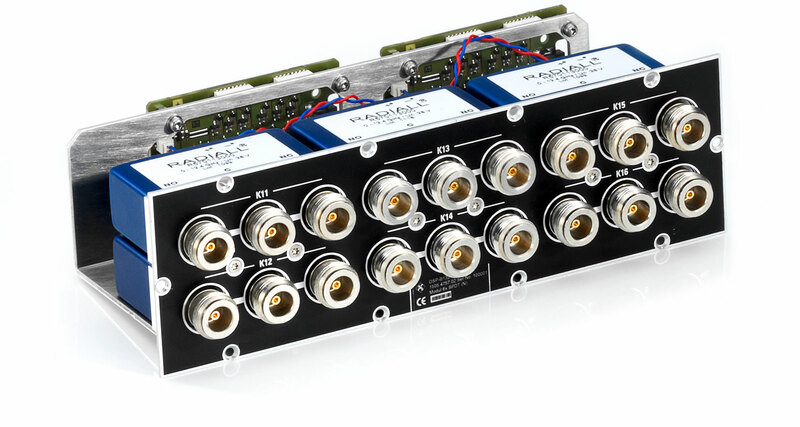 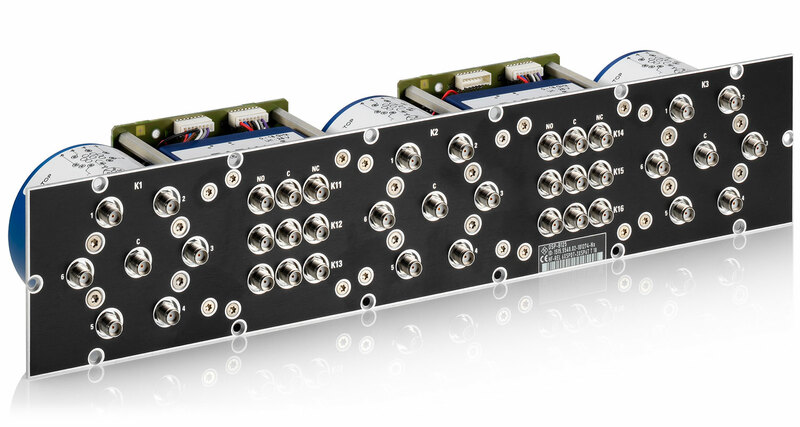 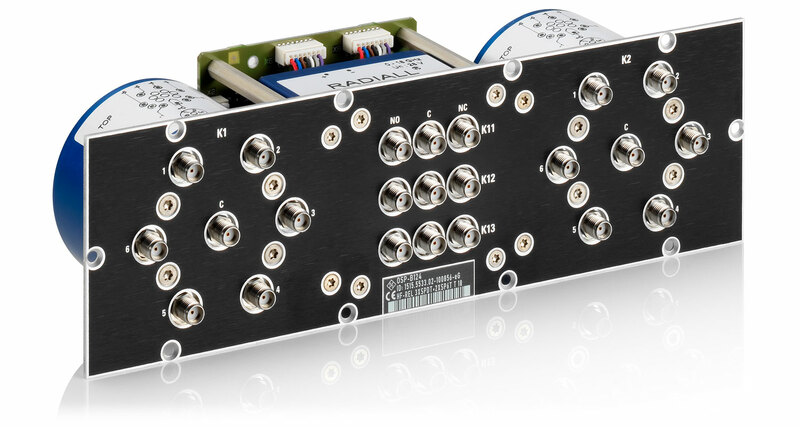 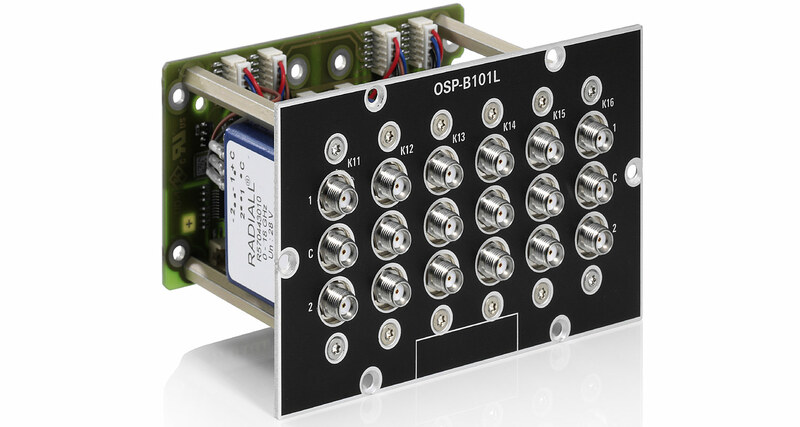 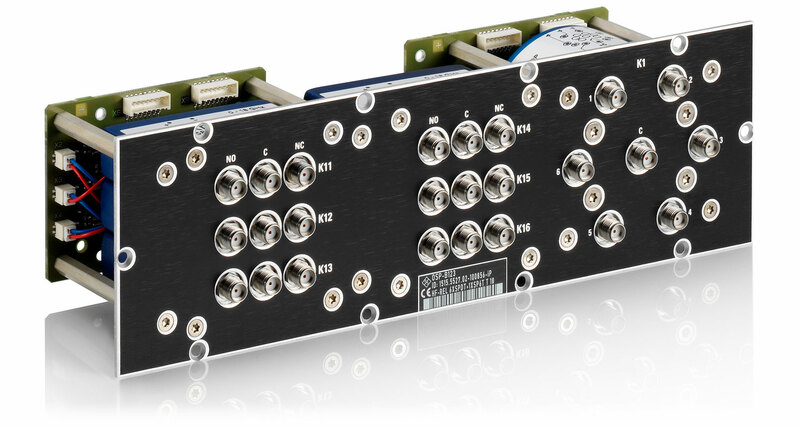 digital I/O modules and multiplexer modul. 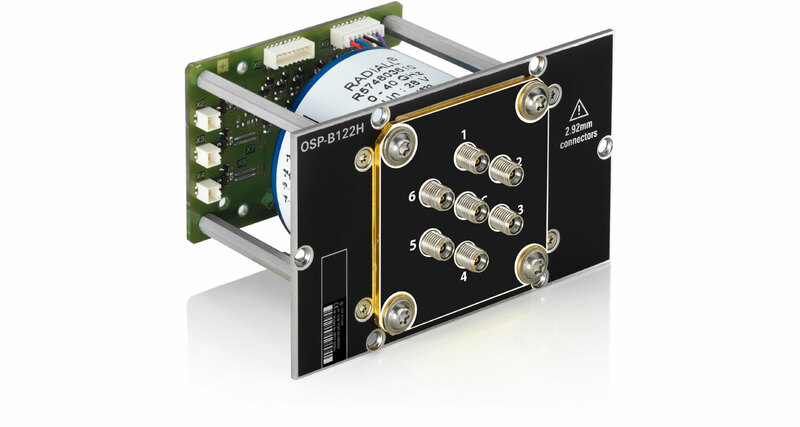 Special system modules modules make it easier to implement EMS and other test systems. 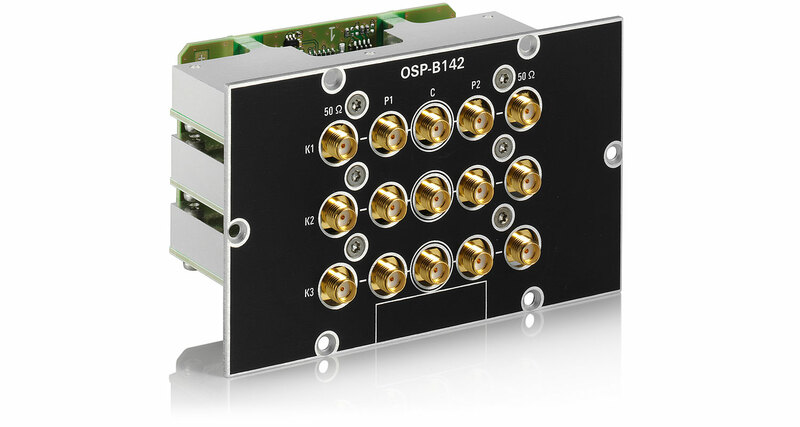 All R&S®OSP models can be combined via Ethernet into avlocal network or a corporate or global network in a master/vslave configuration. 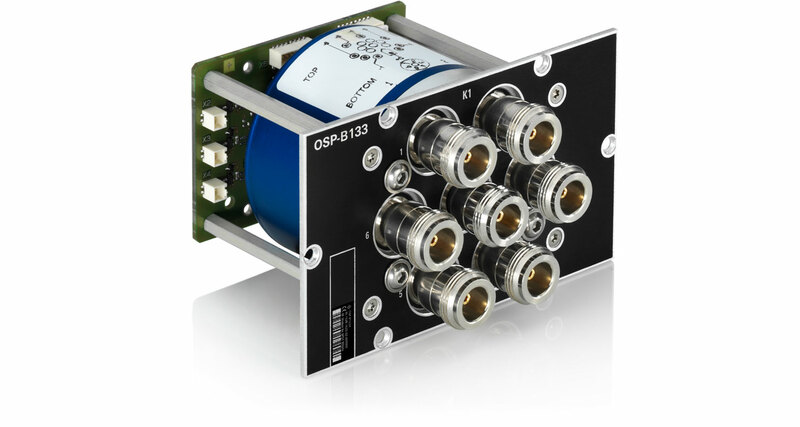 This makes it possible to expand existing R&S®OSP systems to meet future requirements. 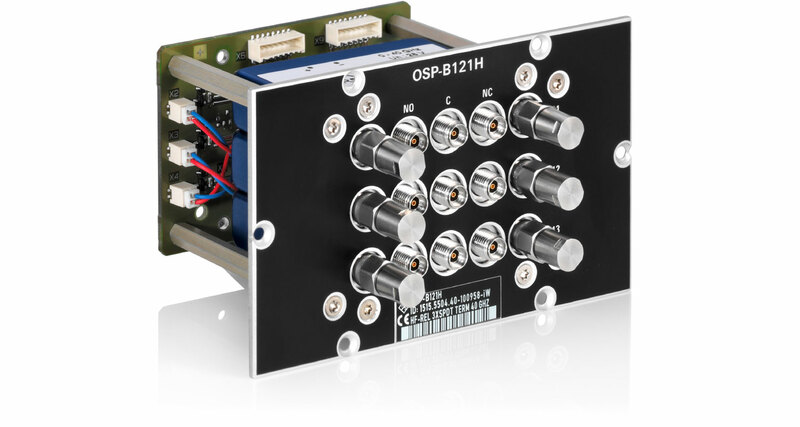 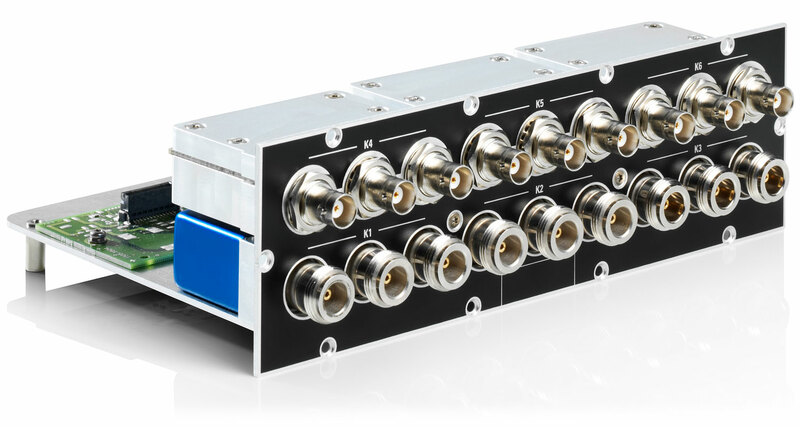 As an alternative to networking multiple R&S®OSP units, the compact R&S®OSP‑B200S2 satellite box can be used for remote operation. 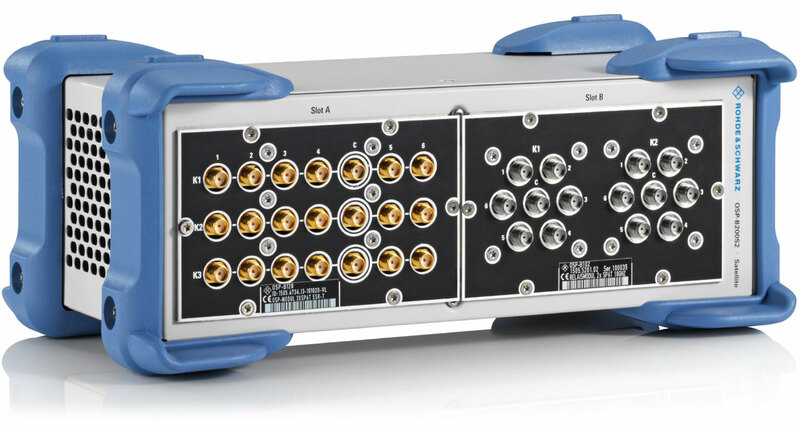 The satellite box shifts RF switch and control tasks close to the DUT or the antennas. 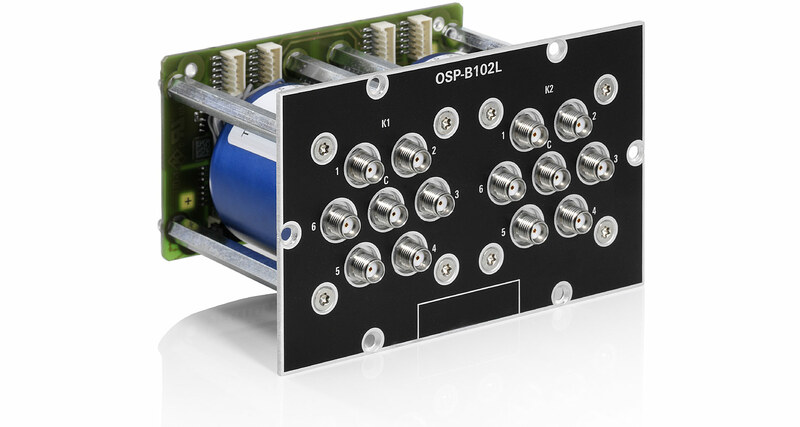 This reduces the number of long RF cables required, improving RF performance of the setup and saving costs. 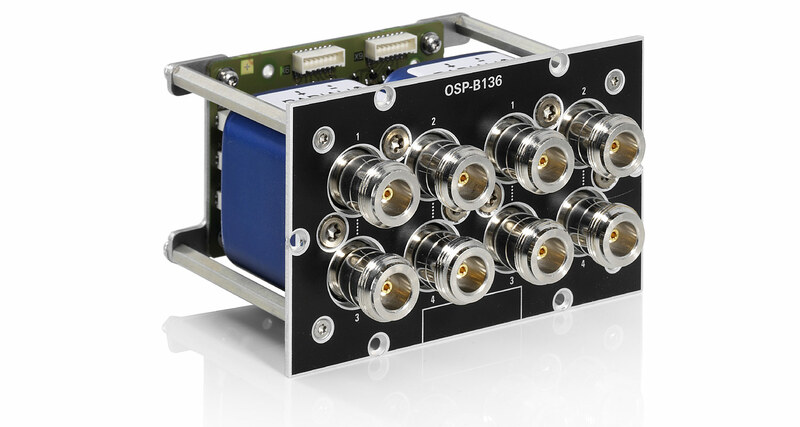 The R&S®OSP models come with a built-in web interface for local operation of the unit or for control from a PC or laptop with a browser. 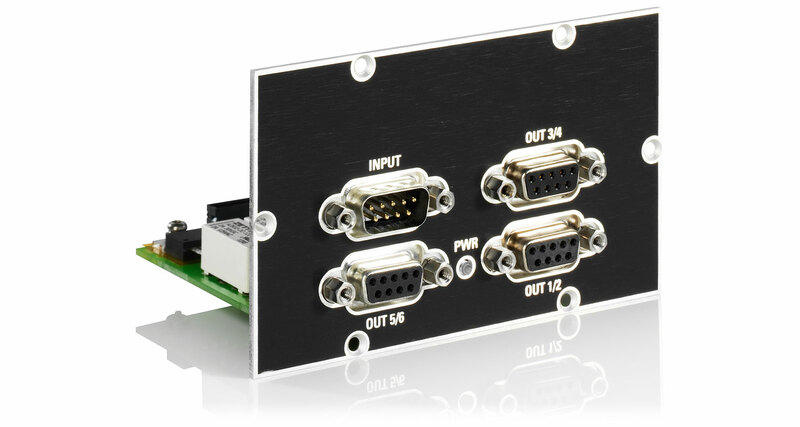 In the case of browser based control, the resolution of the displayed content is automatically adapted to the screen size of the monitor used. 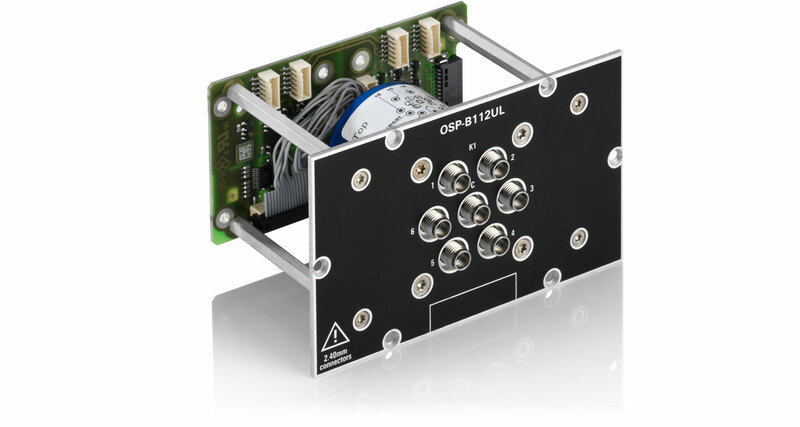 All R&S®OSP models can be controlled using a keyboard and mouse and an external HDMI™ monitor. 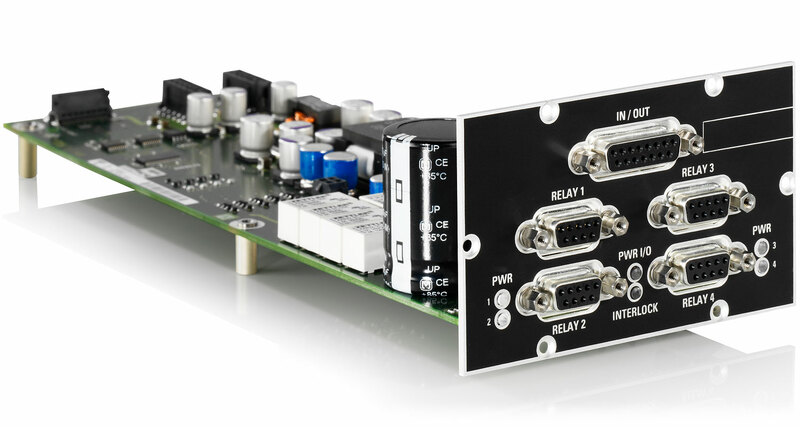 Relay switching states are combined to define paths, simplifying the control and programming of complex wiring configurations. 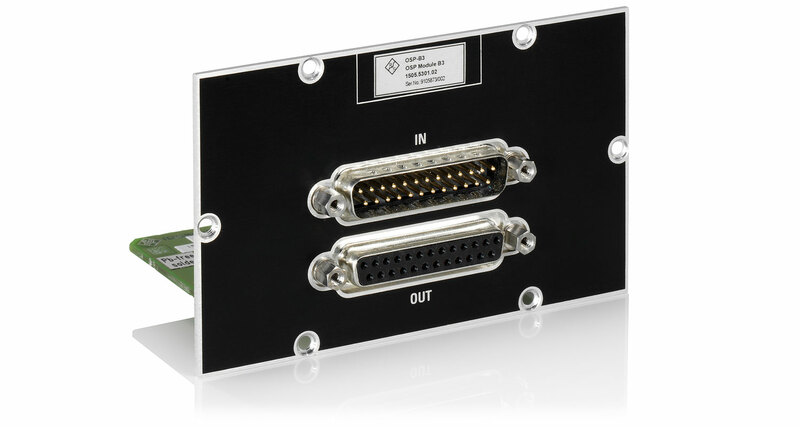 The ability to copy and paste the syntax of manually defined paths to SCPI commands makes SCPI programming very efficient.